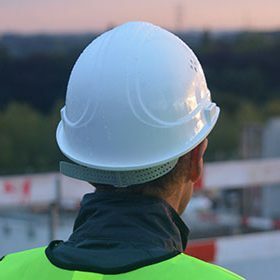 Our talented workforce can handle small and large projects, work with a wide variety of materials, and tailor services to meet the exact needs of our clients. We bring new solutions to old problems, offering the best in mining maintenance and fabrication services along with exceptional customer service. Our expertise spans the entirety of your project, from site development to specialty services, with a proven record of exceeding the needs of our clients. Our extensive resources and experienced personnel ensure that your project is done on time and to your specifications. Cost-effective mining maintenance solutions you can count on. We are dedicated and take pride in our ability to complete tough projects in the mining industry. No matter how big or small the job may be, we work within the budget we are given; and we deliver high quality services on time. Browse our portfolio to see some of the work we have recently completed. Each project is customized to meet the needs of our customers, but they are all done with the attention to detail and excellent customer service for which we are known. We provide mining and fabrication services with a real focus on customer satisfaction. We are committed to safety, health and environmental responsibilities. We can ensure a job is done on time. Delivering on-time and to the specified standard. We have the personnel and resources to make the project run smoothly. Work with us to prepare a carefully planned series of steps, centered around a schedule we stick to and daily communication. We offer competitive rates to ensure we can provide clients with reliable, experienced, quality, and safety oriented mining workforces. We provide maintenance solutions to both mining and fabrication and labour hire services.